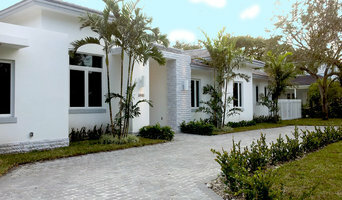 Leaders in Modern and contemporary homes in the Pinecrest FL, area since 2010. Our homes stand out for their design and finishes. Now we have expanded our areas of service from Broward to cutler Bay. We believe good design is not about trends and rules, but about creating timeless, inviting, stylish and ultimately comfortable spaces that enhance your everyday life! J Design Group Named Best Design of houzz 2013 - 2019 and Best Service of Houzz 2013 - 2019 For over 26 years, J Design Group has been creating luxury interior designs in South Florida’s most exclusive neighborhoods and metropolitan cities around the world. From design conception to completion—we work to ensure that each project combines both state of the art functionality and elegance to create a home interior design that is timeless. We pride ourselves on working with the best professionals in the business to give you the best possible outcome. 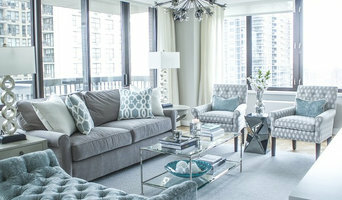 No matter what the scope of the project, our team invests our attention to every detail so that the interior design evokes an ambiance of elegance and happiness which allows us to construct a space that is both a beautiful place to live, entertain and enjoy the company of loved ones for many years to come. We master the craft of tuning client ideas into a reality focusing unique designs. We combine competence and creativity with our routine work and support project costs transparently and efficiently. Paul Pergakis has been a practicing architect for more than 40 years. No stranger to hard work and dedication, he started at the bottom and eventually worked his way into starting his own company. Adecor Group is a Residential Interior Design firm. We are a team of professional designers that provide a complete service from design concept to project execution. We are a team of designers, architects, and engineers sharing strategies and thoughts to create innovative designs for our clients. The D2 crew is a team of interior designers, craftsmen and construction managers that create beautiful homes. We spend every day immersed in creating unique and professionally finished spaces. BEST OF HOUZZ 2014, 2015, 2016, 2017 Michael Wolk is one of Americas leading designers of corporate, residential and hospitality interiors, as well as furniture and furnishings collections for many of the country’s most prestigious manufacturers. His award-winning work has been published in numerous regional, national and international publications. Michael is available to work nationwide. We are a full-service general contracting company that is focused on turning your dream home into a reality. We look forward to working with you! Sebastian Eilert Architecture – S.E.A. - provides sustainable Architecture, Consulting and Design Services to home and building owners. We are a trusted residential building contractor providing quality work at affordable prices since 2002. We can assist you with ALL aspects of the construction process, from inception to completion! Unique and unusual spaces tailored to our clients needs and budgets has kept JAB Design Group thriving for 32 years and counting. By providing both Design & Construction services, we have the ability to carefully balance the budget, quality, & schedule from conception to completion. Highly qualified and knowledgeable licensed general contractor and architect offering services in residential design, interior design, general construction and high end renovations. 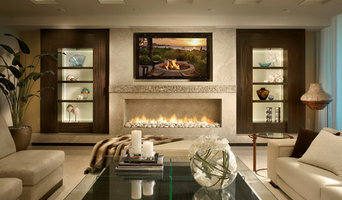 Santana Design Studio is a partnership in residential interior design servicing from Miami to West Palm Beach area. We master the craft of tuning client ideas or concept into a reality focusing unique designs. We combine competence and creativity with our routine work and support project costs transparently and efficiently from conceptual development, communicating with the stakeholders of a project and the management and of course the execution of the design. We know that a positive relationship with our clients is the key to successful design. Our experience has taught us the importance of establishing common goals early on in order to ensure that the results we deliver are the results you expect. At Cutting Edge Innovative, we believe that understanding our client’s needs makes all the difference. It’s how we listen, evaluate, and execute that distinguishes us from our competition. We are a bilingual (English and Spanish) full-service residential interior design company based in South Florida that specializes in creating and bringing to life functional, beautiful and environmentally-friendly conceptual spaces. Our owner and main designer is an architect/interior designer with 7 years of education that works with universal design standards (design approach to create environments that increase quality of life for individuals of all ages or abilities). We have been featured in IVY Design magazine and are members of the American Society of Interior Designers. We offer a wide array of services that include design consultation, plans, 3D renderings, remodeling and decoration, and project management. We work directly with your contractor of choice or the contractors we work with to make your dream home a reality. For us, customers are our number one priority and we base our designs on the wants, needs and likes of our customers and through constant communication we make their wishes for their dream home come to life. Tamara has built a solid and loyal client base over the years by offering innovative concepts and delivering excellent service in order to fulfill the needs of each client. WDG is a full service interior design firm with specialties in various sectors, including luxury residential design. Within residential design, we are equipped to provide services from ground up construction through finishes, to large renovations. Our project size averages 5000 square feet, going up to 15,000 to 20,000 square feet. Brenda Weiss is the principal of Weiss Design Group, Inc. which she founded in 1993 in Florida and is licensed in Florida as an Interior Designer and business. However, Brenda resides in both south Florida and Hilton Head Island and has clients along the entire eastern seaboard of the United States, from New York, Philadelphia, the Carolinas, and Miami/Ft. Lauderdale/West Palm Beach. Brenda’s original focus was healthcare and hospitality design, a specialized sector of interior design. With her knowledge from these fields, Brenda is able to bring durable, lower cost, and safer products to her residential clients, without sacrificing aesthetics in any way. Brenda’s first book, Décor Enterprises’ Designing with Fabrics and Color is available on all on-line bookstores. 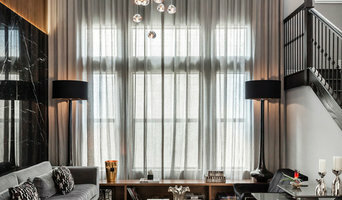 We are a prestigious international full-service design studio specializing in high-end residential interiors. Our style flows seamlessly, resonating with an experience rather than just a design. Fanny Haim, ASID, IDG, was born in Colombia and today lives in Miami, Florida. She studied Fine Arts at the University of Los Andes in Bogotá, Colombia, and later at the University of Miami. Haim is a state licensed and registered Interior Designer, whose artistic expertise has been successfully applied to over three decade’s of award winning interior designs. From architects to designers, the FH&A team provides the combined skill of multi-disciplined and talented design professionals. FH&A offers a full service approach to all aspects of the design process - to residential, commercial and hospitality clients across the globe, including South Florida, China, New York City, Los Angeles, Mexico, Panama, Israel and more. The FH&A philosophy is based on the principles of creativity, innovation, and timelessness. Each new environment created is uniquely tailored to the individual client’s utilitarian and aesthetic needs. FH&A has been featured in many local/international publications, national television, and has received international recognition. UrvanX is an architectural design firm that specializes in residential and commercial planning and implementation of design. Tizzoni Cucine is an industry design leader that provides design, manufacturing, and installation services to some of the most prestigious buildings and homes throughout South Florida. Our mission is to execute our clients' vision while incorporating our European aesthetic into modern Miami design. We strive to provide the utmost quality in manufacturing and service. We are the sole distributors in the United States of our high end materials that are shipped direct from Italy. All of our materials have a particle board core and are completey wrapped in a thermally structured paper. All of our panels are all 99.9% post consumer recycled, carb 2 emission compliant materials. Founded in 2004, Touzet Studio operates as a collaborative studio environment where highly trained professionals focus on the details of craftsmanship in architecture. Check out our work! "The good life begins at home." - With this statement as the company's motto, every project is crafted and delivered as a reflection of the clients individual taste and personality. Being an interior designer with an architectural education has given Carlos Matta the tools and the knowledge to understand the utmost design concepts of space, form and function. While contemporary trends define Matta's work, his capacity of adapting to the clients own design preference is reflected in every single project. Located in Miami's cutting edge Design District, the design services are provided all throughout South Florida to the principal cities of The Americas. Our firm has a collective experience of more than 25 years in design leadership, with proven competence in the areas of architecture, master planning, interior design, structural and mechanical.